Specially designed for Microgaming-powered operators by one of the newest studios around – Sling Shot Studios – Cash of Kingdoms takes you back to the medieval times. This 5 reel and 15 payline game is filled with various curious characters designed in an appealing cartoon-like style. A vibrant design is not the only thing you will find in this video slot as it will excite you with potentially rewarding features. Looks can be deceiving so don’t let this game’s playful apparel fool you. 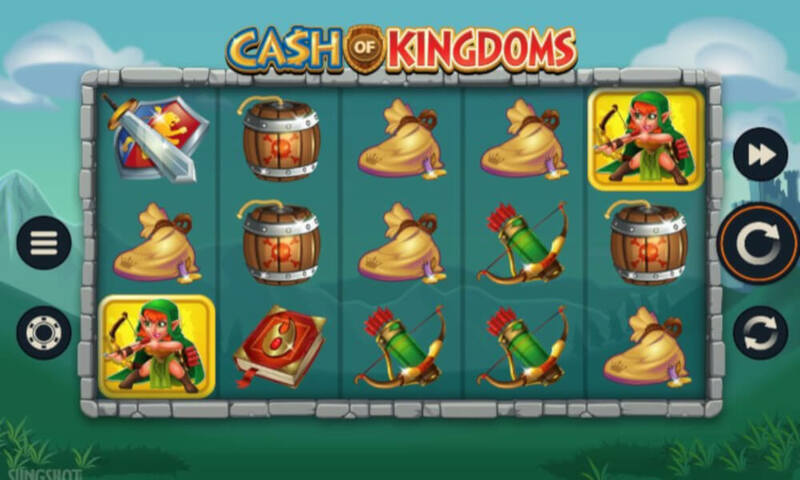 With an RTP of 96.28% Cash of Kingdoms is a low-variance slot game which will hit you with frequent rewards and keep you occupied for a longer period of times. With a high-range betting span and possible wagers that go up to €480, this Microgaming title will satiate the needs of high rollers as well, thanks to its 100,000-coin treasure chest. HOW TO PLAY Cash of Kingdoms? Microgaming has instructed the Sling Shot Studios to be as straightforward as possible with Cash of Kingdoms when it comes to gameplay. The biggest draw into this particular slot is the fact it pays both ways – from left to right and right to left – making it ever so easier to get a winning combination. The number of lines wagered in this game is fixed and only the highest win is paid per line. Before you set the reels spinning, make sure to choose your bet. Starting from as little as €0.15, bets and wagers can be set either manually with a scroll bar or chosen from the number of predetermined options. The maximum you can invest per spin is €480 which will be of particular interest for the players who call themselves high rollers. Cash of Kingdoms comes with 10 regular symbols five of which are high valued and five lower denominations. Characters in medieval clothes are high-paying symbols, while five objects representing the low-value symbols all belong to these people – a knight (in shining armour), a female archer (with a bow), a hooded mage (and a magic book), a burglar (with a sack of coins) and a bombardier holding a candle 9to light a barrel full of explosives). There are also two special symbols in this game but more on these further below in this review. Cash of Kingdoms is not one of those modern-type slot games. Just as the title suggest, this video slot is revisiting the simpler times when life might have been more dangerous, yet simpler at the same time. This does not mean that this Microgaming-ordered title will lack excitement and an edge. Quite the contrary. Visuals and sounds are more than enough to draw you in whereas it’s up to features to dazzle you with life and vigour. Wild + Scatter – Cash of Kingdom Logo is the game’s Wild symbol. It appears on reels 2, 3 and 4 and will stand for any other symbol in a line except for the Treasure Chest Scatter. 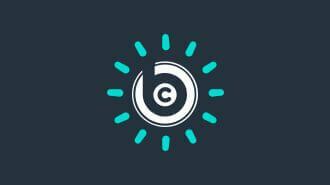 This symbol also appears on reels 2, 3 and 4 alone and will be responsible for launching Free Spins. Still, it pays in any position and is a nice little addition to the gameplay. Invading Wilds – Once the Wilds appear as a full stack on reels 2 or 4, the Invading Wilds feature will be triggered. This is where you get to enjoy a visual spectacle of the Wild reel firing arrows to the middle reel, attacking it and conquering – eventually turning it Wild. This little feature is a great addition to the offering and the one that will be a significant boost for your winning potential. This feature will be triggered during the Free Spins as well, when wilds will be ‘Super Stacked’. Free Spins – Three Scatters anywhere on reels 2, 3 and 4 will trigger this feature to give you 10 Free Spins. The triggering win will pay 2x total bet staked and this multiplier will be added to payline wins throughout the feature, which is a lovely top-up to your regular wins. Any additional Scatter you gain during the actual Free Spins will add another complimentary spin. When it comes to entertainment, Cash of Kingdoms is up there on the top shelf with some of the most popular games in the market. Five reels and 15 paylines wrapped in a loveable, colour-filled screenplay will be enough to keep you interested but that’s only the start of it. Cash of Kingdoms video slot is a low variance game. Microgaming made sure it does not stand as an obstacle, however, knowing that with wagers heading up to €480 per spin you can – on a game that pays both ways – you can pocket some whopping rewards. The 100,000-coin worth a maximum win will definitely be worth a try. This game is all about two main features. Invading Wilds is the first in line of the attractions which will see a full stack of Wilds attack the adjacent reel to turn it Wild too. Ultimately, there is also a Free Spins feature with 10 complimentary rounds and a 2x multiplier on all wins. Nice, right? Players, we need your help with how we should to rank and rate these reviewed casino games. You can help us by rating this game, and if you really enjoyed playing Cash of Kingdoms. You can also share it with your friends on Facebook, Twitter and via email. For all freeplay games, if your free credits run out, simply just refresh the page and your balance will be restored.